Donated to HANDS of St. Lucie County by Greg Childress, owner of G. Alan Fine Jewelry & Coin, the beautiful diamond necklace and earrings have come to symbolize the continued need to provide access to health care for all. In 2015, 12 women committed to raising a minimum of $1,000 each for the privilege of wearing the $12,500 diamond necklace for a month each. 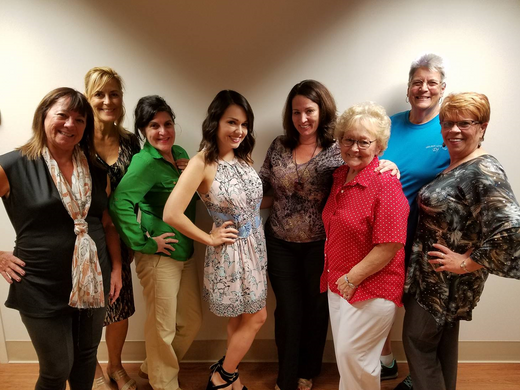 During their month, they raised awareness and funds for HANDS of St. Lucie County, which provides access to free health care for the uninsured. At the end of that first year, donor Greg Childress then contributed diamond earrings in addition to the necklace. Now 18 strong, the ladies of The Jewelia Project have raised more than $265,000 to benefit HANDS. At the end of each month, the necklace-bearer passes it over to the next woman in line. Each of the participants is responsible for raising a minimum of $1,000, but they each far exceed that goal. Jewelia’s Miss December is Tia Adkins, wife of Moonswiner’s owner Danny Adkins. Using more than 200 recipes, Tia has put together a recipe book entitled “Handmade.” The perfect stocking stuffer for this holiday season, the cookbook will be sold for $15 each. HANDS, a Volunteers in Medicine clinic, provides access to free health care services including primary care, adult dental clinic, mental health assistance, vision care, pediatric dental checks and more. For additional information about the clinic and qualifications, call 772-462-5646. 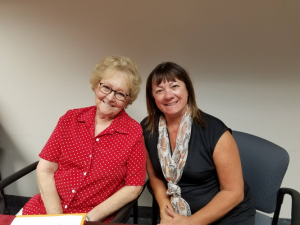 For additional information about The Jewelia Project, call Sydney Liebman at 772-462-5652, and be sure to look for Tia and Jewelia out and about.